Massive Congratulations to all the Club gymnasts who competed in the London Gymnastics Floor & Vault Competitions during November. They did fantastically well and a full list of their achievements is available here. Section of Waiting List Closed - for children aged between 4 and 7 years inclusive - until further notice. There are still sizeable waiting lists for all Sections within the Club. Congratulations are due to numerous members of the Club Staff Team and Volunteers for being given Awards at the Annual London Gymnastics Awards Evening, held on 15th September at the Sheraton Skyline Hotel in Middlesex. A list of who was awarded what award and in which Category is available here. Tsunami Effected Japanese Children Visit Club. 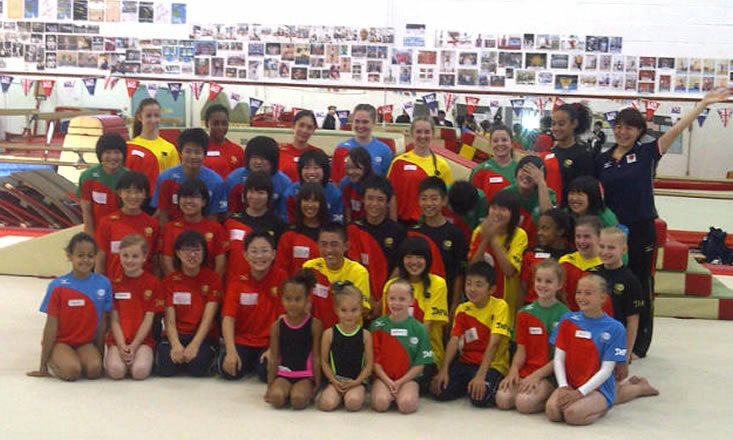 Children from the Club pose with their Japanese guests after a fun filled evening. In what turned out to be a fascinating cultural exchange and fun-filled evening for everyone involved, 20 Japanese children, who were all effected in some way by the Tsunami which struck Japan so ferociously and tragically on 11 March 2011, recently visited the Club. The trip to London for these unfortunate children was organised and sponsored by the Japanese Olympic Committee and apart from visiting us, the children were scheduled to visit Games events and see the London historic sites. Leading and accompanying the children as part of the delegation was Mai Nakamura (top right in photo) who swam backstroke for Japan in the 1996 and 2000 Olympic Games – where she won a Silver and a Bronze Medal. After the initial greetings (the Ladywell girls had all learned how to say hello and to introduce themselves in Japanese!) the participants were divided into mixed Teams and after a warm-up – threw themselves (literally!) into a session of Obstacle Course Races. We all then withdrew to an upstairs classroom, where Mai and the Japanese children taught our children how to write their name using traditional Japanese Calligraphy. It must be said that our children proved very adept at this and the final result was often difficult to distinguish from the Japanese drawn original. Both parties signed an Olympic Banner to commemorate the visit and we will take great pride in displaying ours in the gym. Photographers and TV Crews from both Japanese National and Olympic TV were on hand to record the events and there wasn't a dry eye in the house as we all bade the traditional Japanese farewell of ‘Sayonara’ to the children and their chaperones. A special Thank You to Charlotte Chew for getting up and speaking on behalf of our children – with no prior warning and without notes – to the entire gathering. Well done Charlotte! You can view the new 2012 - 2013 Club Activity Calendar HERE. Recent Annual Club Championships results added to Results Page. Olympic Connections - When we decided to incorporate the London 2012 Olympics as the theme for this year's Annual Club Championships - little did we know the connections between the Club and the actual event that would materialize. Club Manager Shirley was a member of the Lewisham Borough Panel which selected the Torch Bearers to represent the Borough. Club Coach Calum will be involved in the Opening Ceremony. Gymnast Eve Davidson will be participating in the Closing Ceremony. Former gymnast, Sue Biswas will be assisting in choreographing both the Opening and Closing Ceremonies. Jay Osgerby, a parent of one of our gymnasts is one of the co-designers of the Olympic Torch. The connections just keep on growing! Fundraising Cake Sale. On 19 May - our enthusiastic, intrepid and eternally dependable Fundraising Team took their place in Greenwich Market at what has become the Annual Cake Sale. Their efforts on the day were suitably rewarded as they raised the fantastic sum of £300.18p. The Club would like to express our heartfelt thanks to Sandra, Emma, Louise, Jackie and Carolyn as well as all those who made cake donations or who baked a cake or who helped in any way towards the success of the day. Club Head Coach Shirley felt that Ella Ross-Jessop had displayed sufficiently good form at the London Compulsory Championships in February that she deserved to be entered into the British Compulsory Championships - held in Birmingham over the weekend of 22nd and 23rd April. Far from being overawed at her first competition at this level - Ella performed remarkably well and finished a fantastic 18th out of 54 competitors. Very well done Ella. Yet again - you have done yourself, your family, your Coach and your Club proud. Proud to just be there ! All during the winter period, our gymnasts are working hard to prepare for their first competition of the year. To say that this particular year - the children of the Floor & Vault Section have obviously worked extra hard would be an understatement when the results are examined. Out of 21 participants, 19 were awarded their pin and 17 won medals - a stunning performance and a huge WELL DONE must go to all involved; both gymnasts and Coaches. 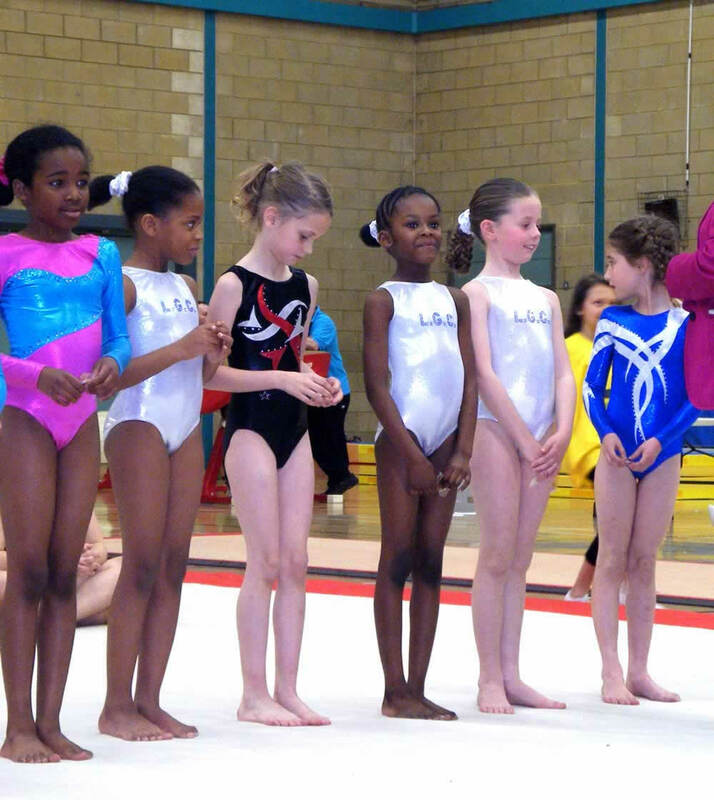 Results and photos from the Spring London Region Floor & Vault Competition are available here. For the girls of the Advanced Section, the London Gymnastics Spring Championships is usually the first competition of the year - and a chance for them to put all their hard work over the winter into practice. A fantastic set of results from this year's competition clearly shows that they were not to be disappointed. Traditionally, the girls from our Club perform well at this competition - but this year they have excelled themselves. Well done girls; we are all proud of you. The results and photos are available here. Sometimes it is hard to gauge just how well the Club is performing as an institution when set against other Sports Clubs in the Borough. 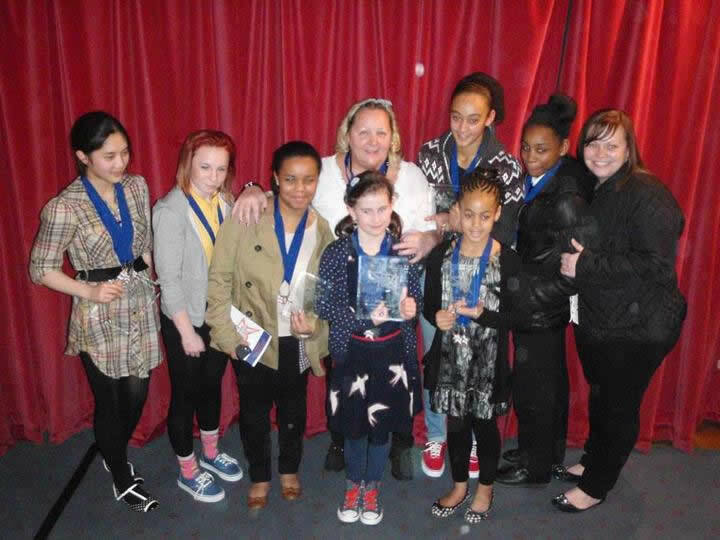 The annual Lewisham Borough Mayor's Sports Awards give us just such an opportunity as many of the Club's gymnasts have represented Lewisham in competition and if successful - are given awards accordingly. We traditionally have good representation at this gathering - but this year our Coaches and gymnasts did exceptionally well. Please visit the page to see the results and photos from this years Lewisham Mayor's Sports Awards here. 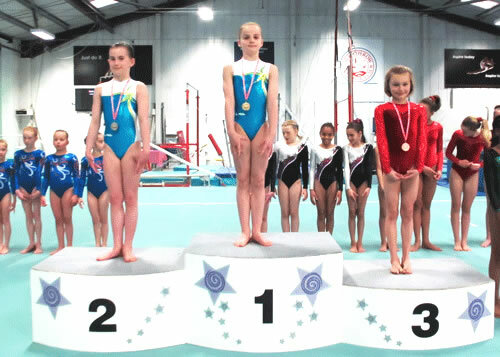 The first Competition of the year for gymnasts from the Club certainly didn't disappoint when Ella Ross-Jessop participated in the London Gymnastics WTC Compulsory Championships. Despite this being Ella's first competition at this level - she acquitted herself remarkably well by finishing in sixth position out of the eleven participants. Also noteworthy is that she recorded the highest score in the Range and Condition Section and had the third highest score on Vault. 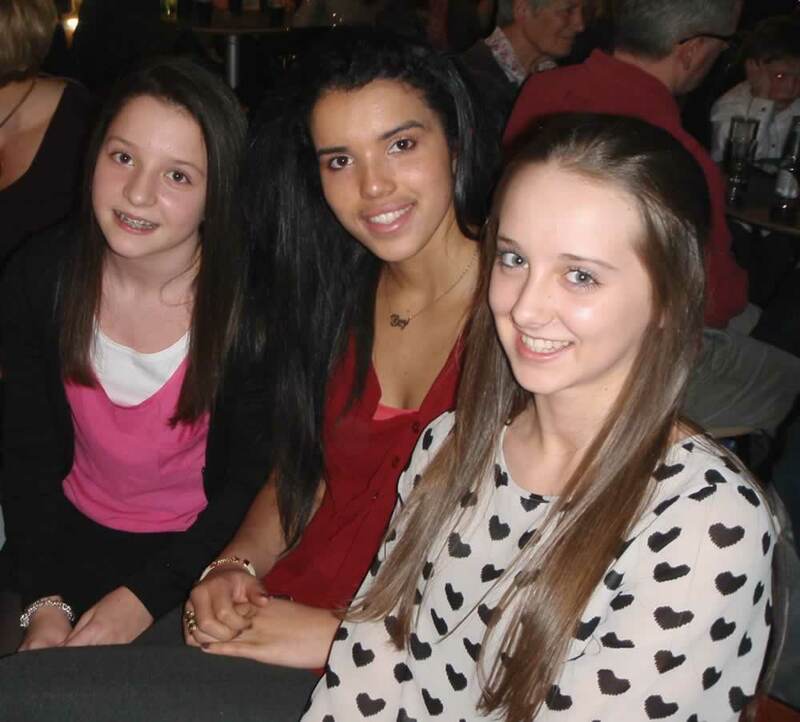 The 2012 Club Annual Awards Evening - for achievements in 2011 - was held in the Powerleague, Catford on Saturday 18th February. As usual tickets sold out really quickly and unfortunately some members were disappointed. The evening proved to be a fantastic success as children and adults alike danced away to the Disco - interrupted only by the raffle and the main event - the Presentation. All the children who received awards were delighted and those who didn't were generous enough to give a rousing cheer to each recipient. The main award for Club Gymnast of the Year was deservedly won by Anna Manso de Zuniga - who as the senior gymnast at the Club - continues to be a role model for all her peers and performs at a very high level of consistency every time she steps onto the competition floor. A full list of winner's and a small selection of photos are available to view here.